Do you think you can challenge someone to game of pool ? 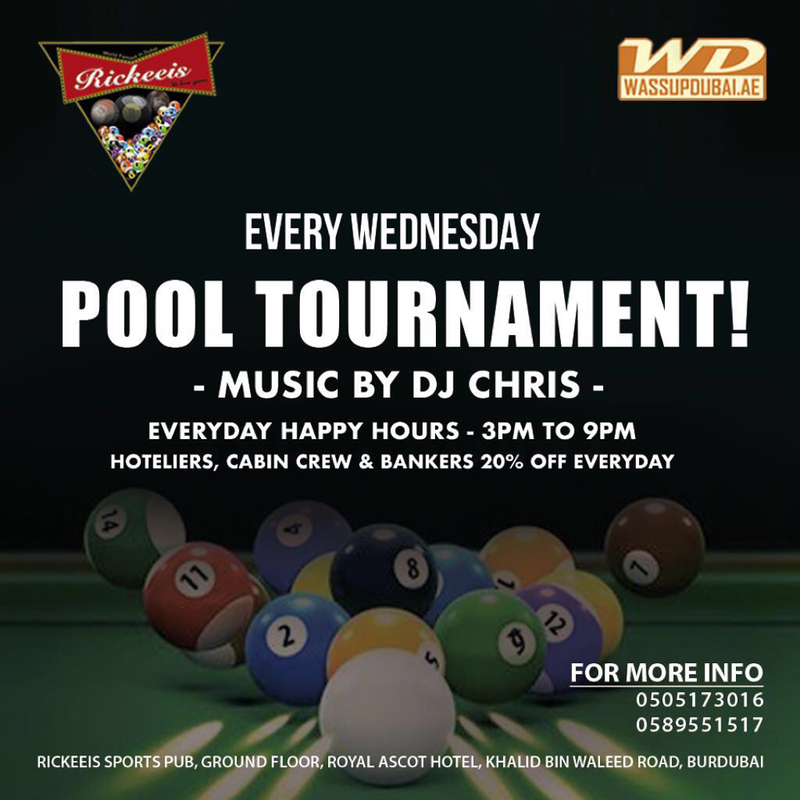 Head Down to Rickeeis Sports Pub (Ground Floor, Royal Ascot Hotel, Bur Dubai) to participate in the pool tournament Every Wednesday !!! For info call 050 517 30 16 / 058 955 1517.